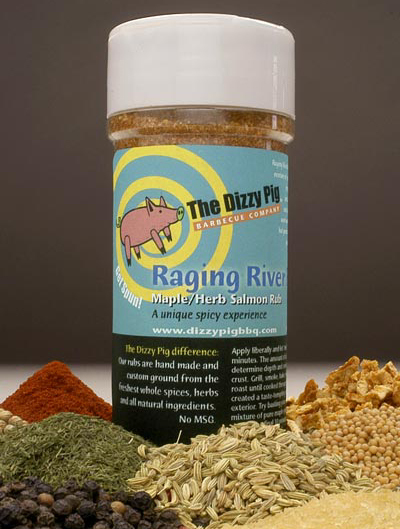 Today’s review is another offering from The Dizzy Pig Barbecue Company — Raging River Rub. I believe that in order to have a good rub, it not only has to taste good but also have a pleasing aroma and composition. That’s why I always take a look at three different criteria when evaluating a rub. Based on an initial tasting, this would work well on poultry as well as on fish. The rub advertises being made for salmon, so that’s what I decided to cook for this review. 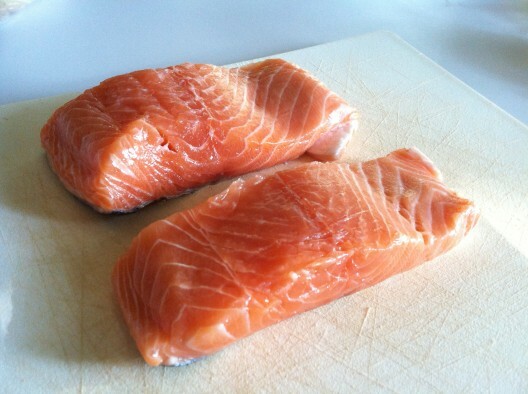 I picked up these two good looking pieces of Scottish salmon from The Meat House this past weekend. I gave each of the pieces a very very light coat of vegetable oil and then seasoned them with Raging River. 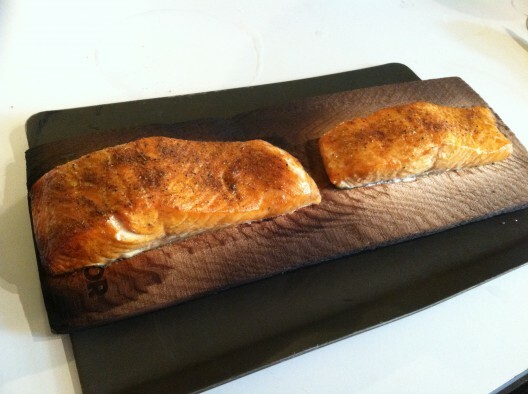 The salmon was cooked on a cedar plank over medium heat on the gas grill for approximately 20 minutes. I have to say this is some of the best salmon I’ve had. 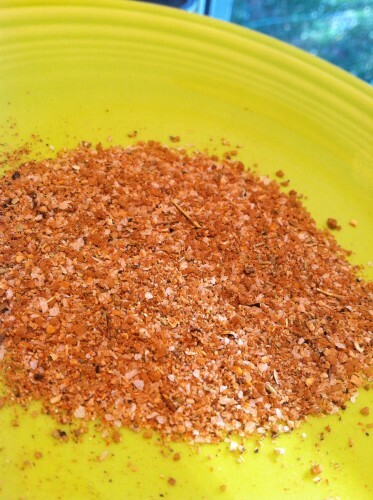 The rub added a salty and savory flavor with a very light touch of sweetness. The flavors in the rub definitely enhanced the flavor of the fish, and I have no doubt this would work well with other species of fish. The light citrus notes would lend well for poultry as well. If you cook a lot of fish, I highly recommend adding this rub to your arsenal. I have to agree, Raging River has produced some of the best tasting salmon we have ever made. It has worked wonderfully on every type of fish we have tried with it. Well, my family says so….I don’t eat fish, lol. But they LOVE it. 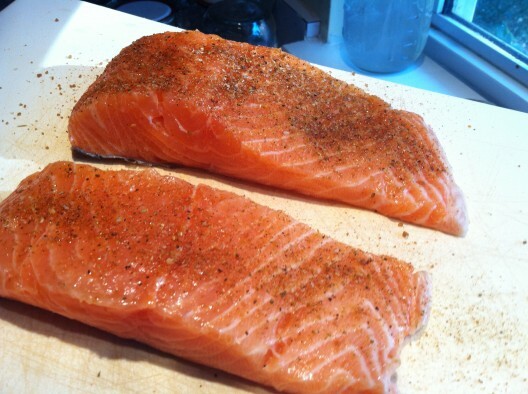 We eat lots of fabulous fresh Pacific Salmon here in the northwest and Raging River Rub sounds like just the thing. We will definately give it a try.